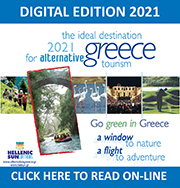 All information necessary to contact Hellenic Sun Editions is provided below, as well as a contact form that you may use in order to contact us through the Internet. 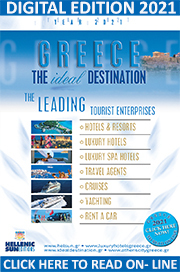 Feel free to get in touch with us for any information, so as to get you in touch with the leading hotels in Greece, the leading travel agents, cruises and yachting companies. You can contact us to let you know about the all the possibilities you have to see the infrastructure in Greece for many forms of tourism, as well as, to meet a unique and ideal destination for all forms of tourism year round. Once again thank you for your interest in Hellenic Sun Editions. You can make reservations through our Site or forward your request by completing the reservation form in our Site; let us get you in touch with the leading greek tourist enterprises (hotels resorts, luxury hotels, luxury resorts, spa resorts, city hotels, luxury resorts & spa, travel agents, etc. ), while you can turn your visit into a unique travel experience. Please feel free to let us know whether we can be useful to you in any way. Contact Hellenic Sun Editions easily using the following contact form. We would be glad to hear from you.